Before I get to the meat of this post I feel a small introduction is in order. Hi. I’m Matt Sherwell, writer and director of the upcoming Poor Kitty. Mark and I met early in 2010 and quickly recognised that we compatible skills and a similar idea of creating a film company that reflected our unique views. I was trying to get Poor Kitty off the ground and Mark was looking for enthusiastic people collaborate with on film projects. Somewhere between then and now, MBFilms was formed and Poor Kitty was shot. The rest will be history. Poor Kitty has endured a rather protracted post-production period (say that five times fast! ), mainly due to how busy MBFilms has suddenly made myself and Mark. Poor Kitty is however, steadily progressing to a release date and we hope you enjoy the short when we finally unleash it. This is my first blog – and by that I mean EVER. What can I say? I’m a little old fashioned in some ways. So what inspired me to suddenly want to post? Well it wasn’t to apologise about the delay of Poor Kitty, nor was it to introduce myself. No. I broke my blogging cherry for a far more worthy reason. 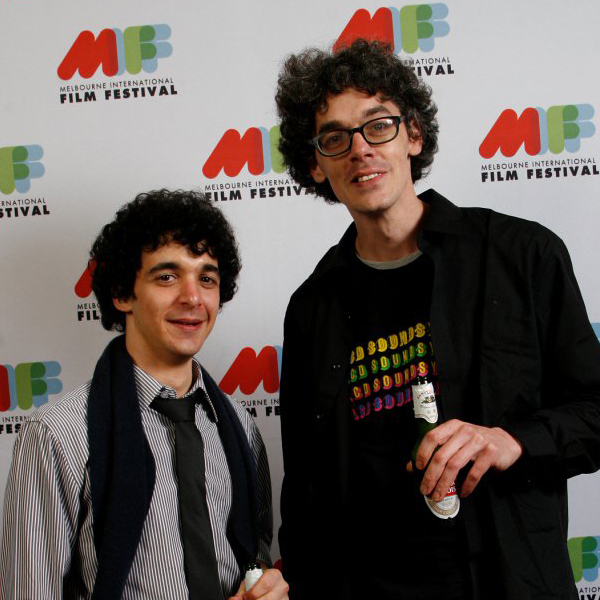 Last weekend, Mark and I attended the MIFF Closing Night after party. There we met Mr. Adam Elliot, creator of the Oscar winning Harvey Krumpet, and the equally beautiful claymation feature, Mary and Max. Before I go on, a small disclaimer: we are not gushers at MBFilms. We are not schoolboys. We are serious filmmakers in the early stages of carving out serious careers in our craft. We do, however, love films and filmmaking. And we naturally have a degree of respect and admiration for those in the business who are very good at what they do. Adam Elliot is undoubtably one of these. He is, in my opinion, proving to be be an authentic auteur. Within his comparatively short body of work, his unique worldview is clearly evident. His films are intimate, beautiful, and obviously very personal. His insistence on telling bittersweet tales through claymation in the age of CG Pixar blockbusters (don’t get me wrong – I love Pixar too, but for entirely different reasons) is a testament to his authenticity. Cinema is at its most powerful when it manages to articulate ideas and evoke emotions that are universal. When a filmmaker expresses his or her personal truth in a way that resonates with the audience, it becomes a shared truth. That’s the lump in your throat, or the tear in your eye as you walk down the cinema steps. That’s what Adam Elliot manages to do. Anyway, Mr. Elliot was very gracious about our minor intrusion (we approached him in mid-conversation), asking who we were and what we did, and seemed thoroughly genuine in his response to our comments on his work. All in all, a really lovely, unassuming fellow. If you have not seen his work (and he currently working on a new feature) we urge you to amend this ASAP. Well folks, I’ve enjoyed this first little foray into the blogosphere. Stay tuned for more MBFilms updates. There’s plenty going on.